← The just shall live! 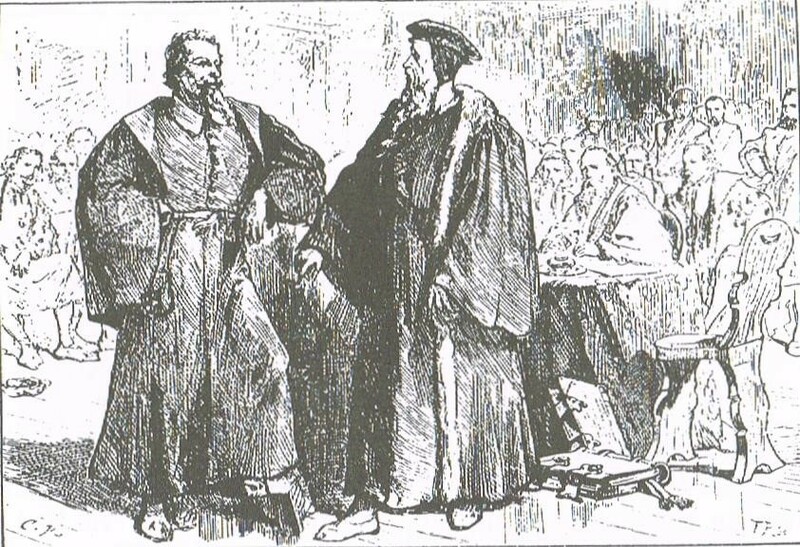 You may have read or heard that John Calvin was involved in the execution of man for heresy in the Biblical republic he help found in Geneva, Switzerland. The man was Michael Servetus (1511–1553) and he was executed for heresy. But how culpable was Calvin really? John Calvin was one of the Reformers and was very zealous to break any influence of the Papacy and the Church of Rome. He believed that the fledgling church could only function when there is good government and that that should be along the lines of God’s principles, the Law. The period in history when this incident occurred was after he had returned to Geneva in 1541. So that you may decide yourself what is the truth I have excerpted the following from a book “A Glimpse of the Life and Works of John Calvin” by Timothy Tow1 (my emphases added). To bring Reformation to Geneva his formula was to make it a sort of Biblical Republic, combining church and state, as in Old Testament times, into one unit. Writing to Farel a few days after returning to Geneva he said, “Immediately I offered my services to the Senate, I declared that a church could not hold together unless a settled government should be agreed on, such as is prescribed to us in the Word of God, and such as was in use in the ancient church. I requested that they would appoint certain of their number who might confer with us on the subject. Six were then appointed.” Calvin’s proposals were adopted. The church was to be governed by four orders: pastors, doctors, elders, deacons. This was the beginning of the Presbyterian system. The powers were vested in a “consistory” or “Session” comprising six ministers and twelve elders. The elders were elected year by year. The leaders were required to take the oath of allegiance to the state and fidelity to the Church. Geneva was to become a Church-State. Every citizen came under the rule not only of the State but also of the Church. Such a theocracy brought much confusion and resistance. The principles of government were not all of Calvin’s. They were the principles adopted by all the pastors, not only in Geneva but in Zurich, Berne and Basel. And these were voted by all the citizens. These principles were sweet to the devout and law-abiding but bitter to the unconverted and unruly. The latter formed themselves into a party called ‘Libertines’. These gave Calvin and the Church-State much trouble from time to time. Did not Calvin and Farel get banished from the same struggles for trying to maintain a pure Church many years back? The matter came to a head when a Spanish physician named Michael Servetus escaped from a death sentence passed upon him at Vienne for blasphemy to appear suddenly in Geneva. He had the backing of the Libertines out of spite. But Servetus did not realise he had got out of the frying pan of Vienne to land in the Geneva fire. He was arrested and imprisoned. He was tried and found guilty of blasphemy and denial of the Holy Trinity, and the eternal sonship of Christ. He was condemned to the stake to be burned. All these circumstances prove that his trial was lengthy, deliberate, and careful; and quite in harmony with the requirements of the age. All the Reformers who were consulted approved of the sentence that was pronounced. At the last stage of the trial, the discussion lasted for three days. The “lesser Council” were unanimous; and the majority of the Great Council were in favour of capital punishment, and so decided on the last day. Sentence of death by fire was given on October 26th, to be carried into effect on the following day. And now one man alone stands forth to plead for a mitigation of the sentence, namely, that another form of death be substituted for the stake. That one man was John Calvin. He interceded most earnestly with the judges for this, but in vain. Both Farel, who came to Geneva for the purpose, and Calvin, prayed with the unhappy man, and expressed themselves tenderly towards him. Both of them pleaded with the Council for the substitution of a milder mode of death; but the syndics were inflexible. 1. That Servetus was guilty of blasphemy, of a kind and degree which is still punishable here in England by imprisonment. 2. That his sentence was in accordance with the spirit of the age. 3. That he had been sentenced to the same punishment by the Inquisition at Vienne. 4. That the sentence was pronounced by the Councils of Geneva, Calvin having no power either to condemn or to save him. 5. That Calvin and others visited the unhappy man in his last hours, treated him with much kindness, and did all they could to have the sentence mitigated. Three hundred and fifty years after the death of Servetus, a “monument of expiation” was erected on the spot where he suffered death at Champel, near Geneva. It bears the date of October 27th, 1903; but the unveiling ceremony was postponed until November 1st. Should the Roman Catholic Church desire to follow this example, and erect “monuments of expiation,” let her first build one in Paris, and unveil it on August 24th. And doubtless sites would gladly be given for the same purpose in Oxford, Coventry, Maidstone, Lewes, and other places in England. And should Romanists desire the alteration or abrogation of any oath, instead of tampering with the Coronation Oath of Great Britain, let them first annul the oath taken by every bishop at his consecration that he will pursue heretics to the death. All persecution on account of religion and conscience is a violation of the spirit of the gospel, and repugnant to the principles of true liberty. The judgment upon Servetus took place in 1553. It was a painful event, but it should be seen also in the light of the Law of Moses which prescribes death to the false prophet (Deuteronomy 13, 18). It is of the Lord’s grace that blasphemers are not so punished today. The debate on Calvin’s past may never end. 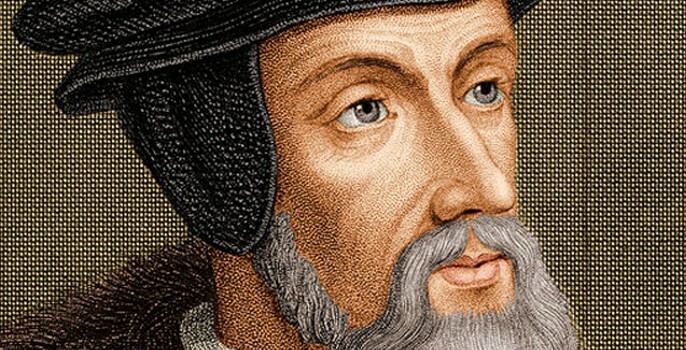 The Church-State theocracy of Calvin’s generation is a thing of the past. But the Academy founded by Calvin has borne sweet fruit for centuries. Originally Calvin had hoped to establish a Christian University. As the little Republic could not sustain it, he confined himself to an Academy. For the founding of the Academy Calvin himself went from house to house to collect donations. The Academy was dedicated on June 5, 1559 in the Church of St. Peter in the presence of the whole Council, the ministers and six hundred students. Dedicated to science and religion, ten able professors were assembled together with him, who taught grammar, logic, mathematics, physics, music and the ancient languages. Calvin, with his successor Beza concentrated on theology. The Academy was an instant success. No less than nine hundred young men from almost all the nations of Europe were matriculated as regular scholars, and almost as many, mostly refugees from France and England sat at Calvin’s feet. Among them was John Knox, later to become the Reformer of Scotland. Not only Knox, a stream of outstanding men in many fields of endeavour were to follow from Geneva into all parts of the European continent. What was the strength of the Academy Calvin founded? It lay in this motto engraved on that portico that supports the great staircase, on the keystone: “The fear of the Lord is the beginning of wisdom.” This reflects Calvin’s heart that he holds up to the Lord. Head knowledge without heart knowledge is a poisonous fruit. 1. Rev (Dr) Timothy Tow., A Glimpse of the Life and Works of John Calvin, Christian Life Publishers, Singapore, 1993, pp. 41-49. This entry was posted in Belief in God, Church History, The Reformation and tagged Beza, blasphemers, blasphemy, Councils of Geneva, Geneva, John Calvin, John Knox, Michael Servetus, Presbyterian system, Reformers, Roman Catholic Church, Romanists, Second Reformation, the Reformation, theocracy, William Wileman. Bookmark the permalink. 1 Response to Did John Calvin have a man executed for heresy? I guess this should remind all of us true “missionaries for Christ” that: “He that is convinced against his will is of the same opinion still!”. We cannot FORCE anyone to believing in and receiving Christ’s will for their lives. We must WIN their belief by good example, good presentation of God’s WORD in a spirit of meekness and LOVE for that person’s soul. Even if we do not “like” that person, God’s love for them THROUGH US can be felt and seen, which puts the emphasis on US to make SURE we are in God’s spirit and therefore DO HAVE the gifts of HIS SPIRIT….with patience and LOVE and the ability to LISTEN and not just talk as perhaps the MOST IMPORTANT TOOLS! I see a lot of “Christians” self righteously condemning unbelievers with their “Repent or perish”, or “Receive JESUS or you’re going to HELL!” attitudes. But, when you stop and take the time to remember your own life and the innumerable times God has had mercy on YOU despite your own stubbornness, unbelief, pride, disobedience, etc, you can have a lot more love for and unsaved sinner and they, even if not receiving it at that moment, are going to remember someday the patience and love they saw in YOU that day. John4:37 “And herein is that saying true , “One soweth , and another reapeth”…it can’t always be done at that moment! God help us all to have more patience with the unsaved and to forgive and even overlook their sins (as we in turn would have God be merciful to us).